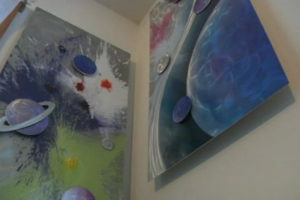 Every piece of artwork has its own story to tell and every artist has their own methods. 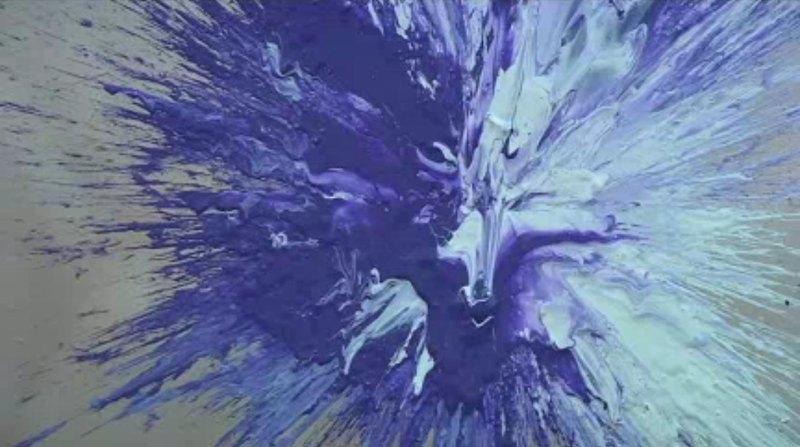 Some may brush every stroke of paint meticulously, while others throw it onto the canvas at random. 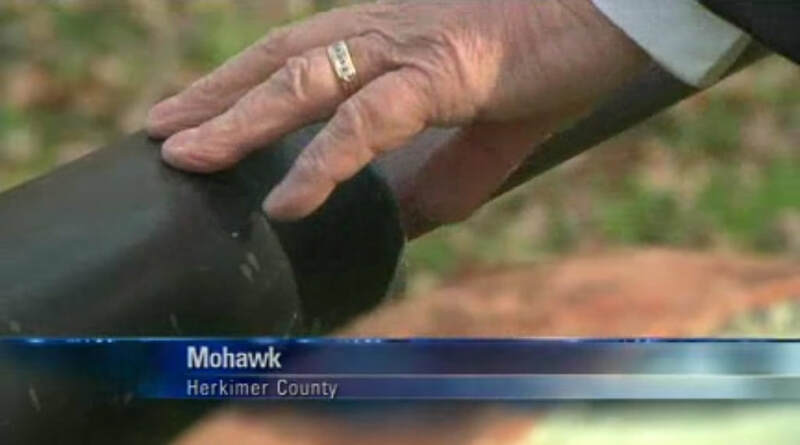 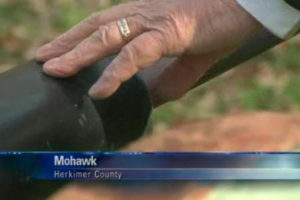 But one Mohawk Valley Artist uses a dangerous technique. 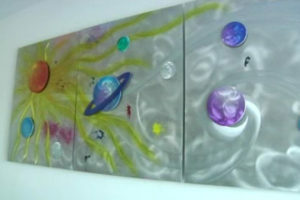 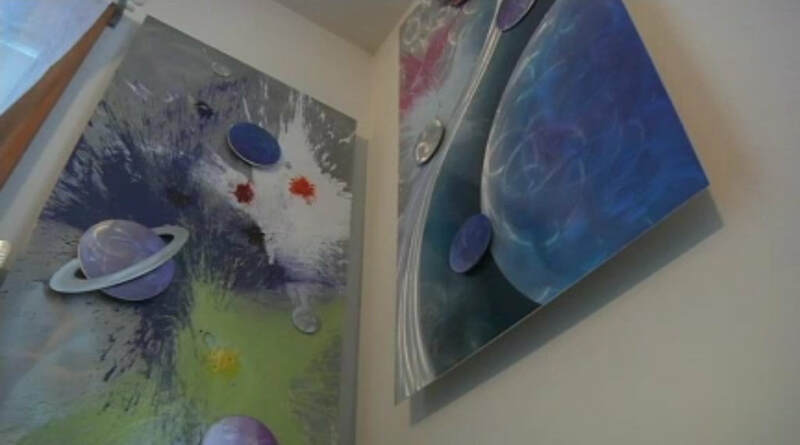 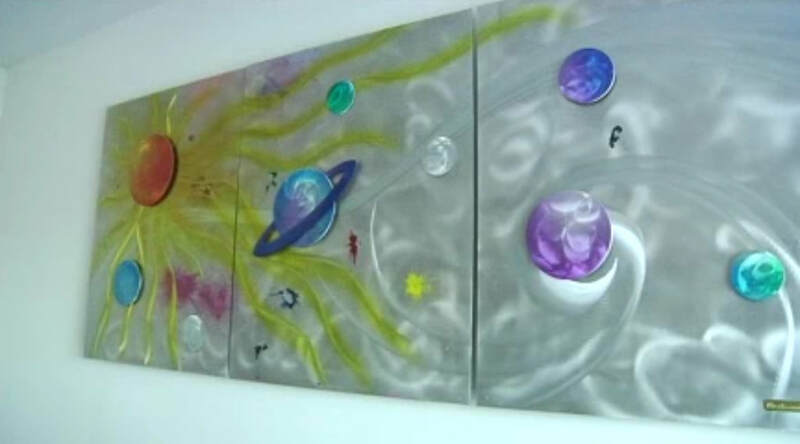 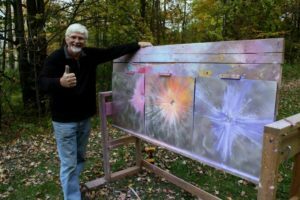 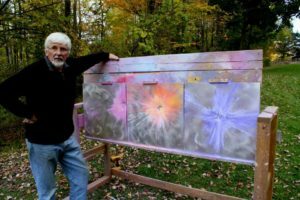 YNN’s Cara Thomas has the story of one Artist’s unique method. 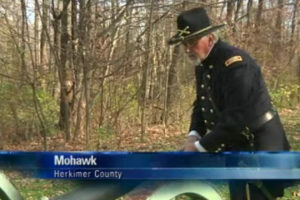 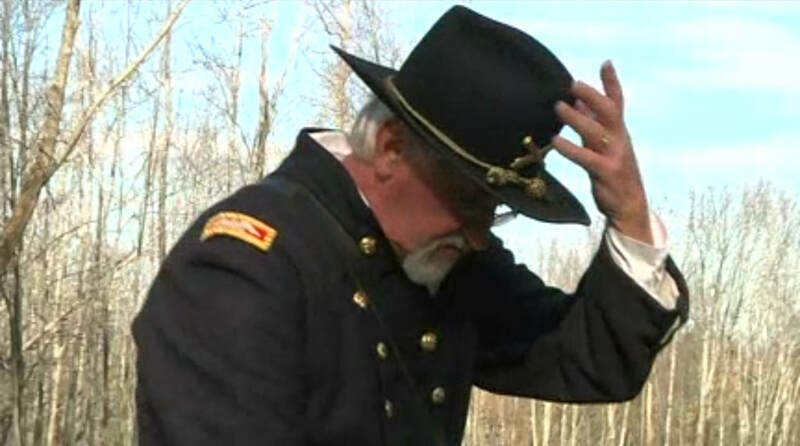 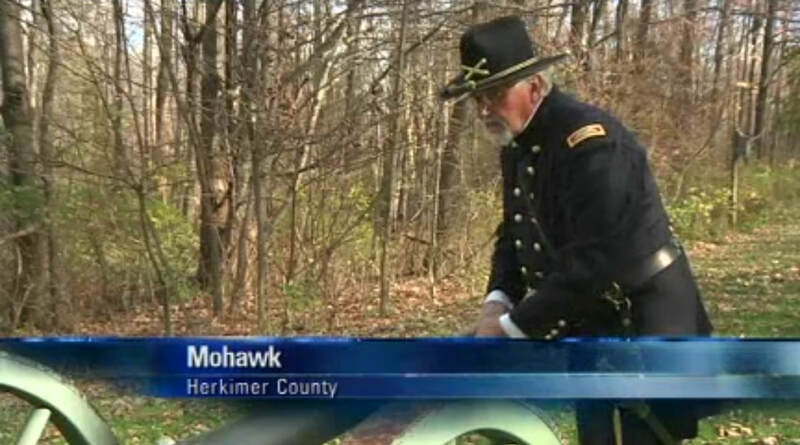 MOHAWK, N.Y. –The Civil War holds a special place in Alexander Kovacs’ heart. 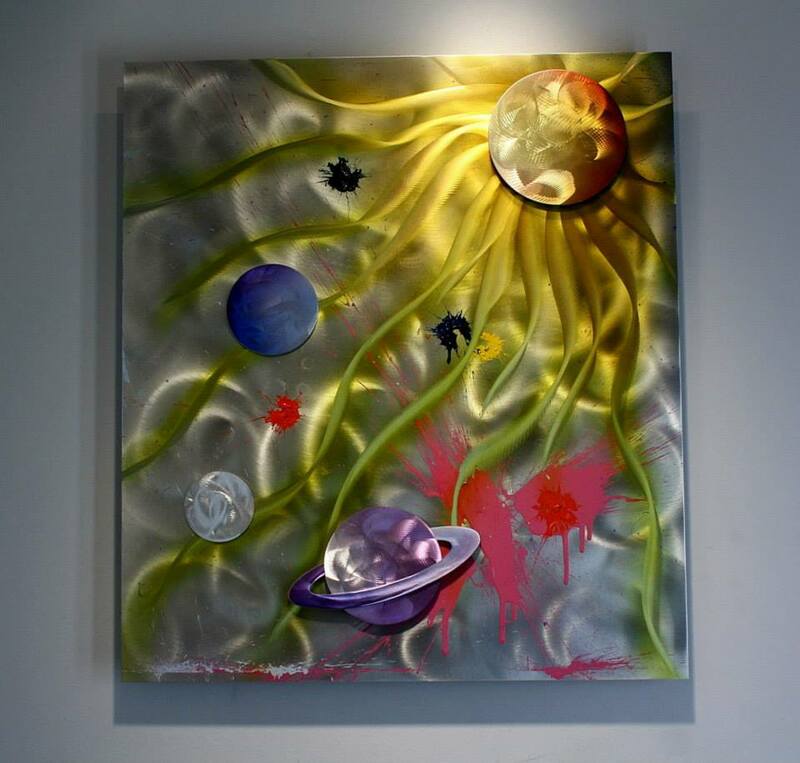 “It had to do with my background and my childhood as I’d grown up as a young man in a Communist Country. 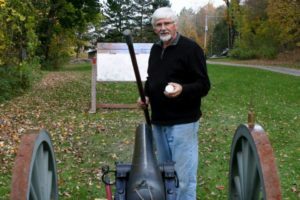 I had the great sense of feel towards freedom and that’s the last thing you get when you live in a Communist Country,” he said. 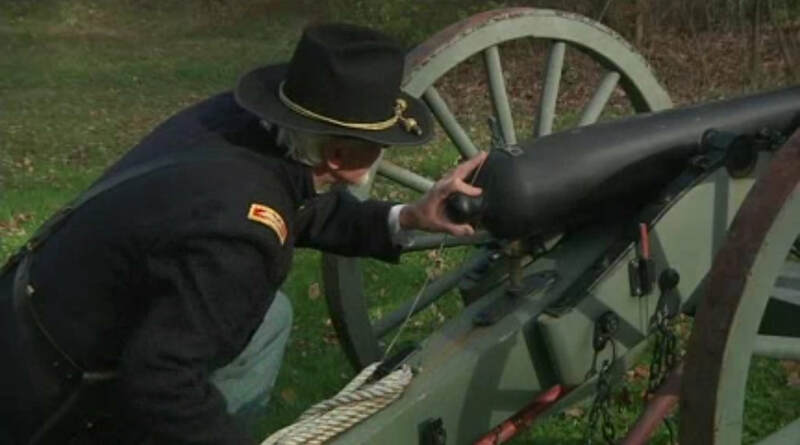 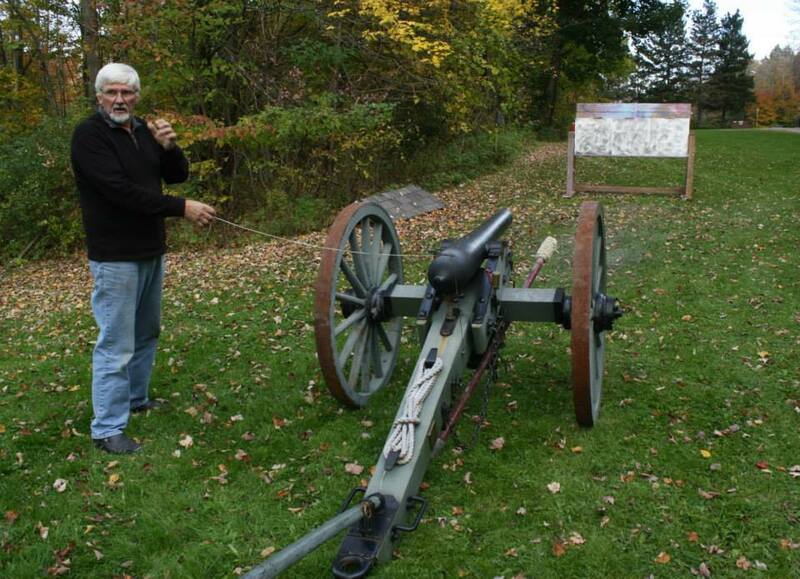 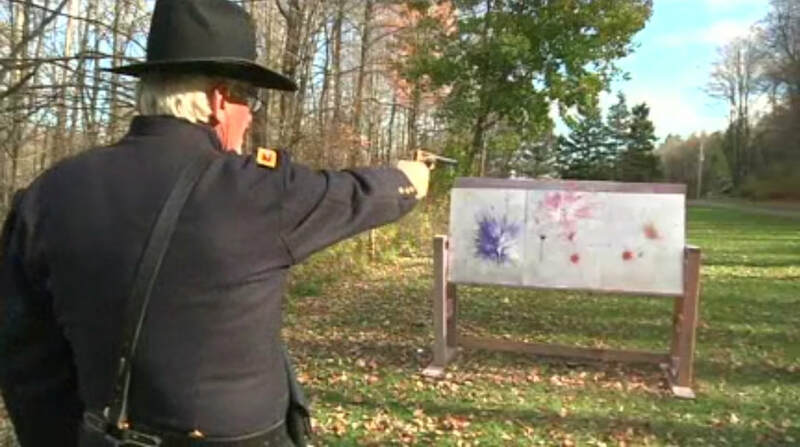 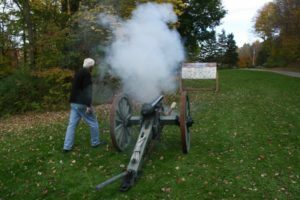 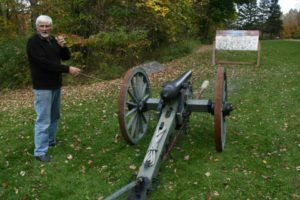 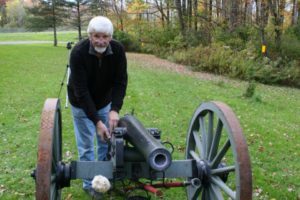 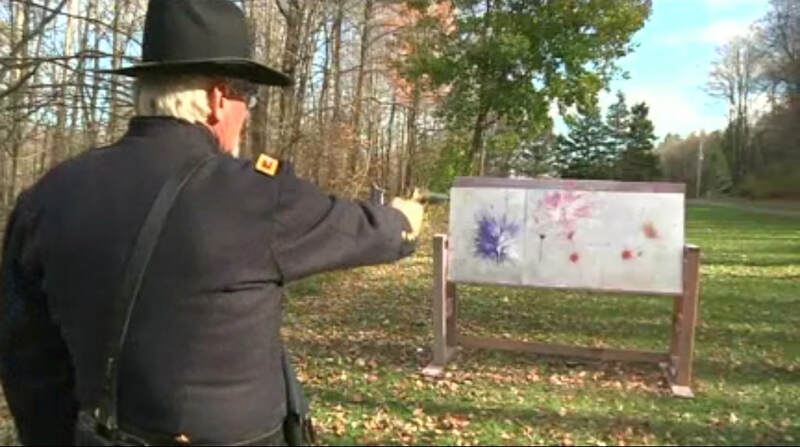 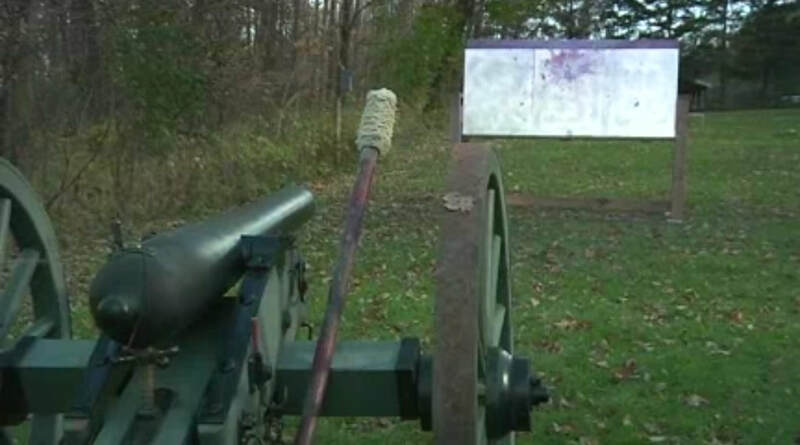 While he may look the part, Kovacs isn’t a Civil War reenactor, but he does use this weapon of the past to make art like no one has done before. 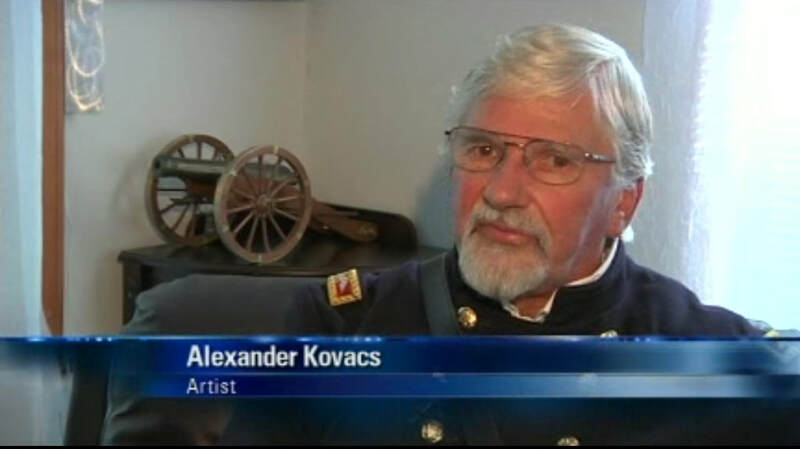 “I was about 25, 26 years old and I had a dream one night that I am actually shooting paint out from a cannon,” said Kovacs. 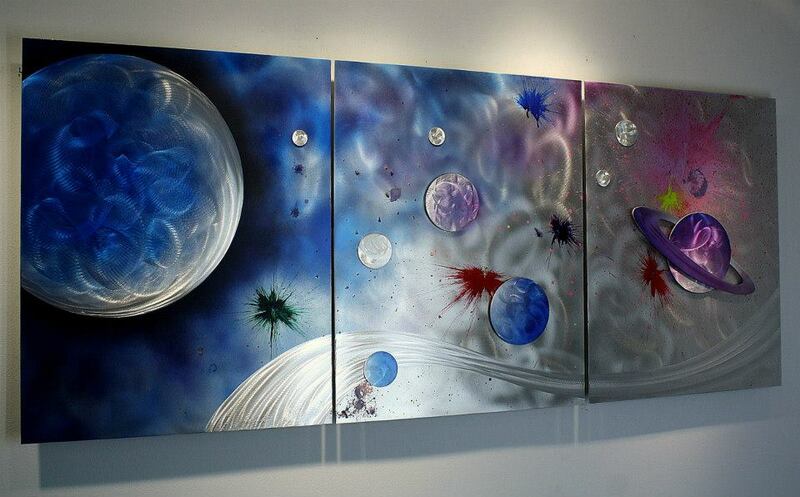 That dream soon became a reality. 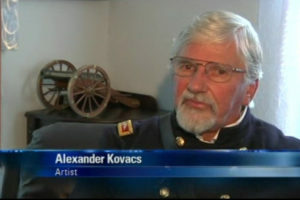 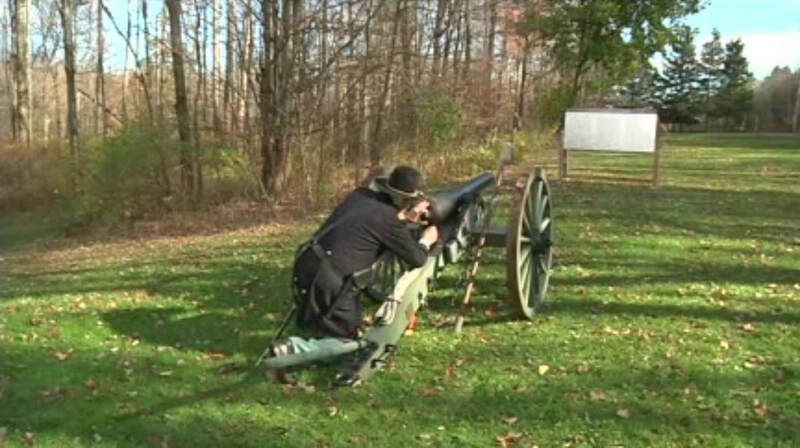 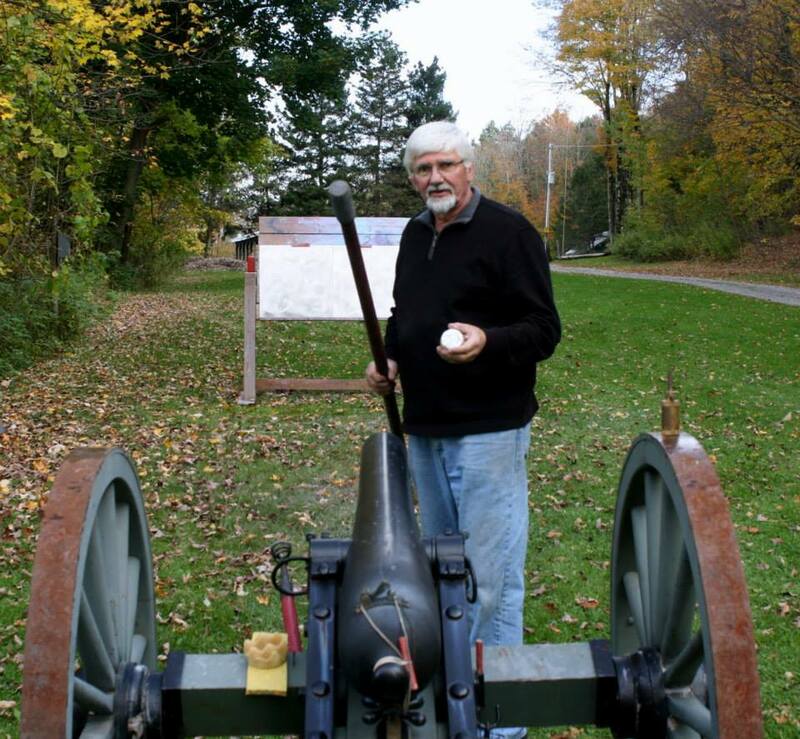 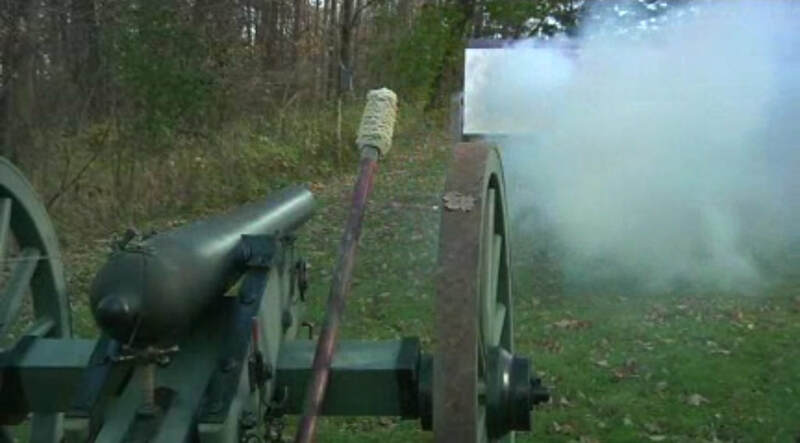 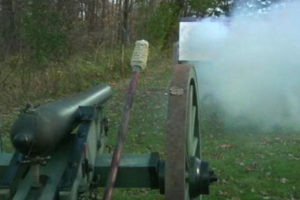 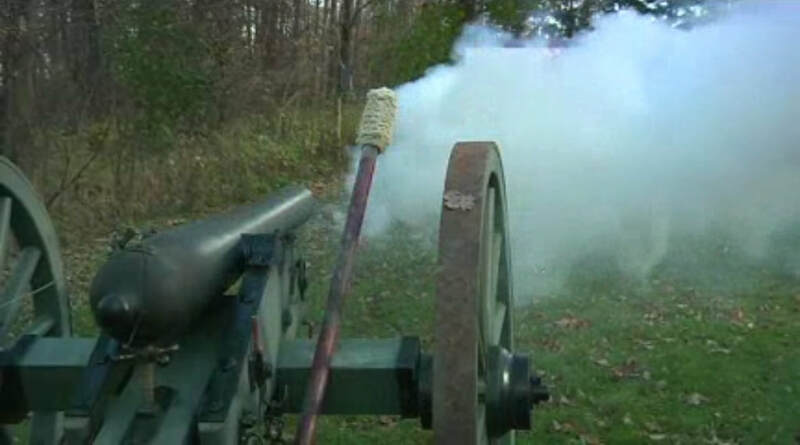 Kovacs built himself a replica of a Civil War Cannon and bought an early American outfit. 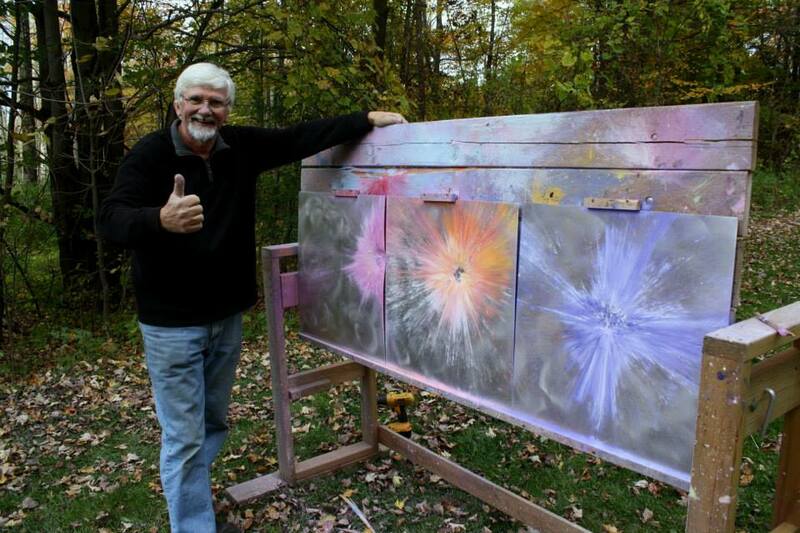 It didn’t take long before people started taking notice of his unique artistic method. 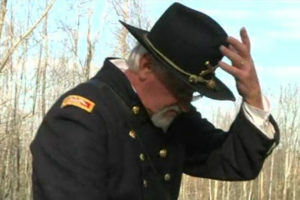 But for personal reasons, he made the decision to lay down his arms until just recently. 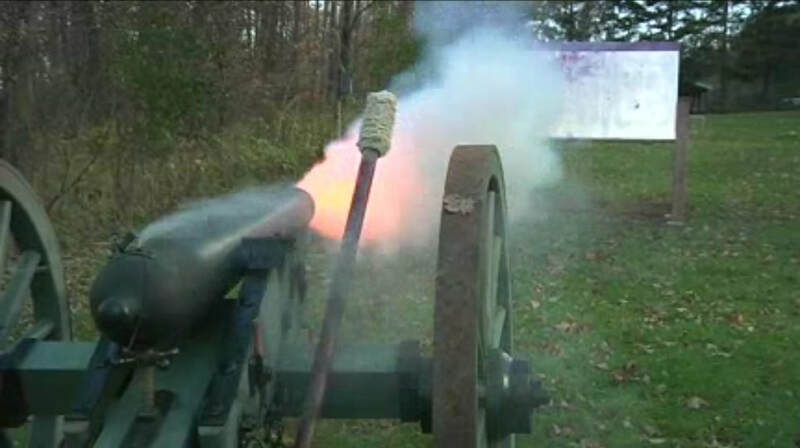 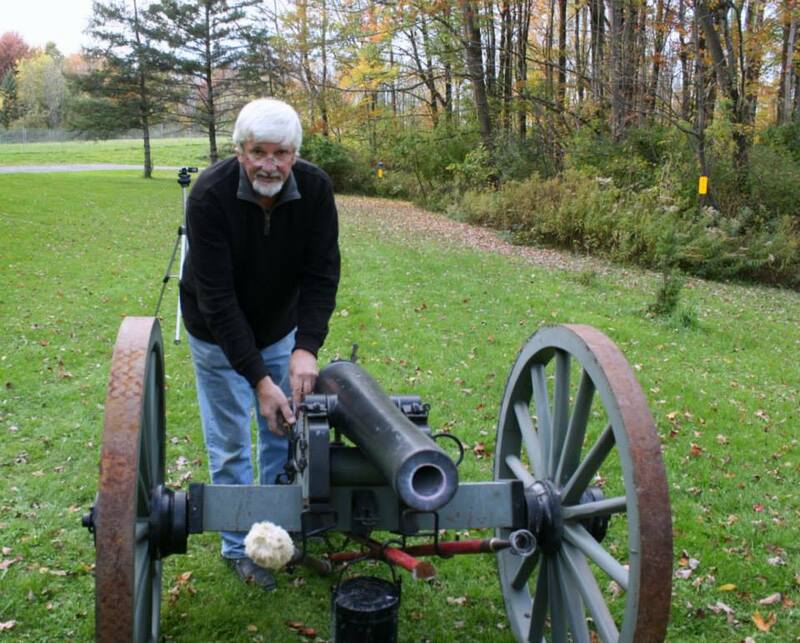 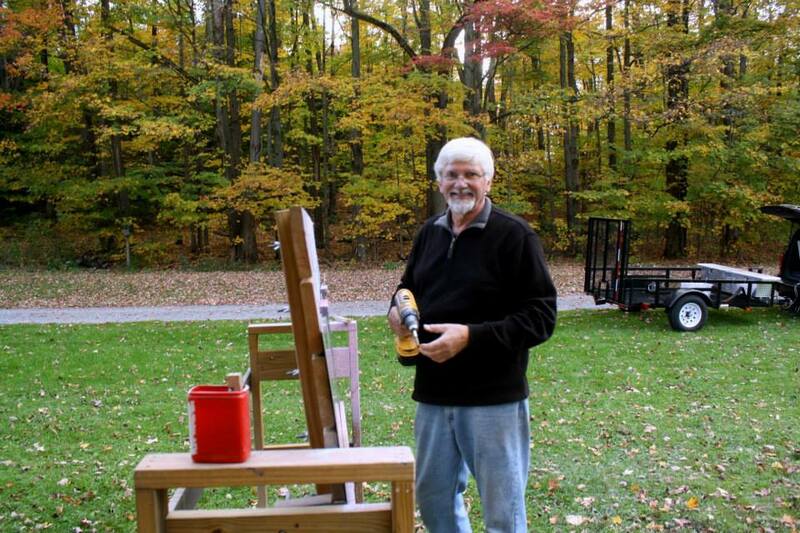 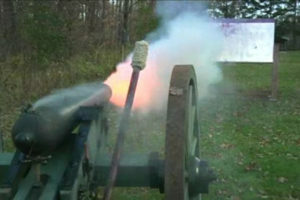 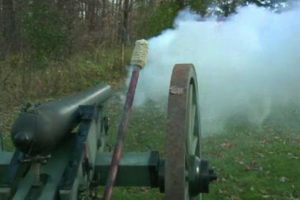 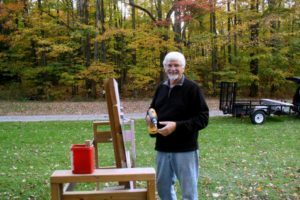 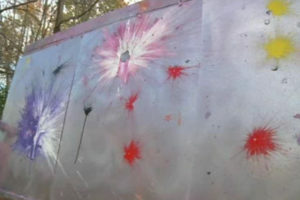 He’s spent the last few months using trial and error to perfect the paint filled canister that goes inside the cannon. 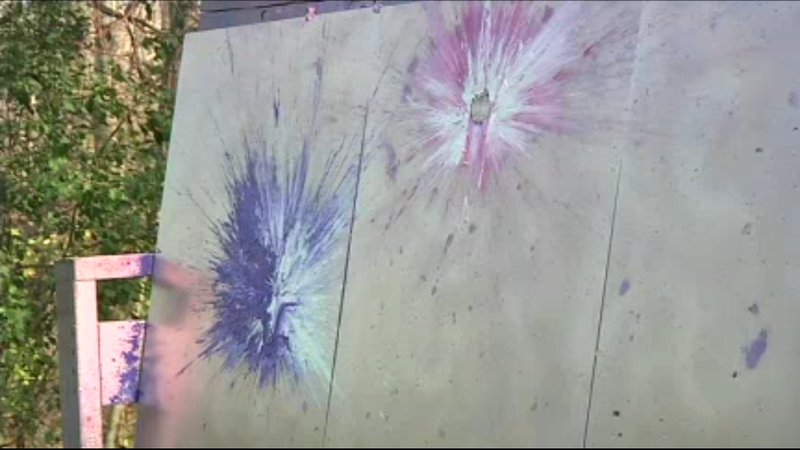 He said, “One day it just popped into my mind, it has to do with physics and the rubber packing to make the impact softer of the explosion. 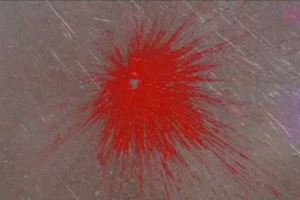 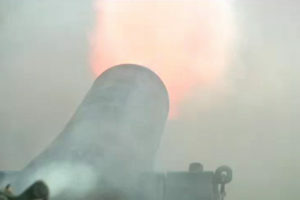 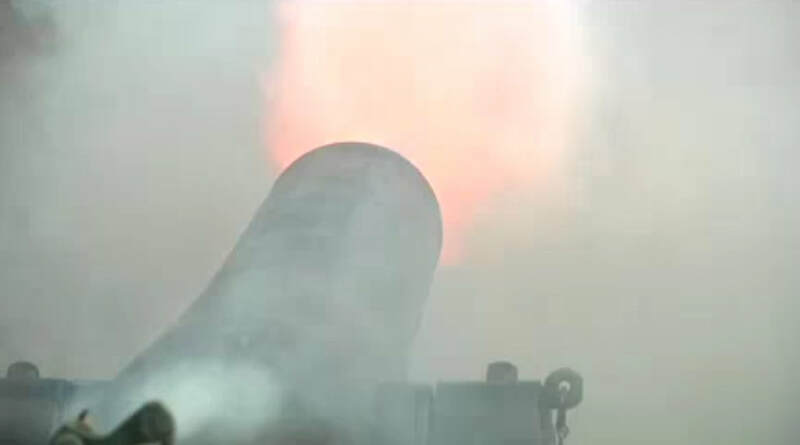 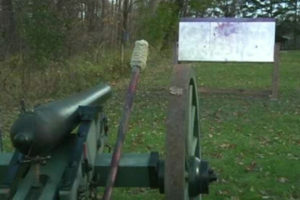 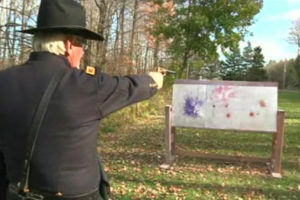 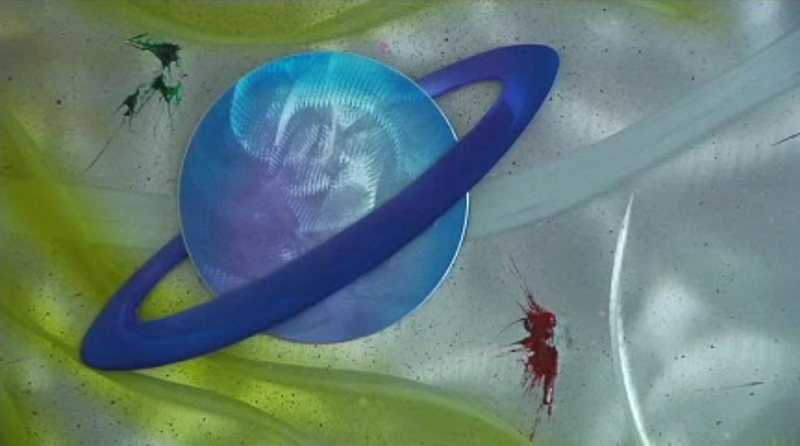 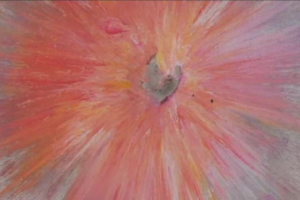 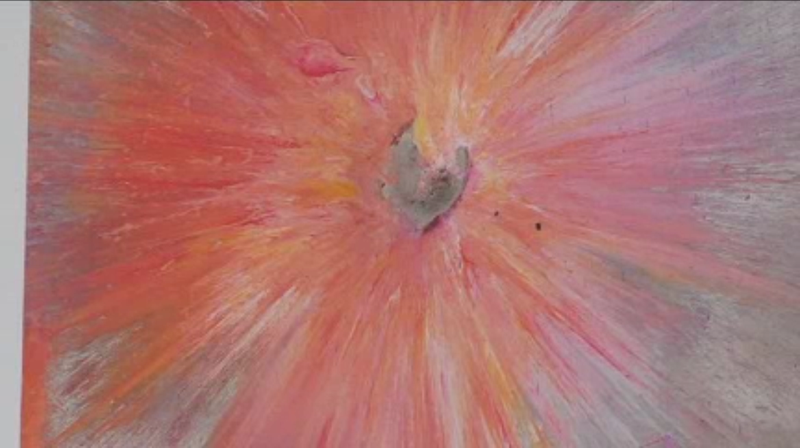 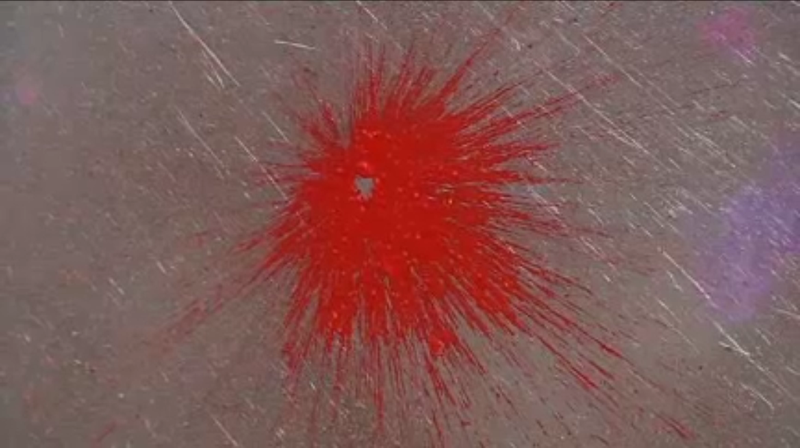 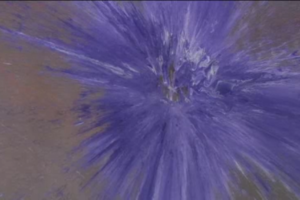 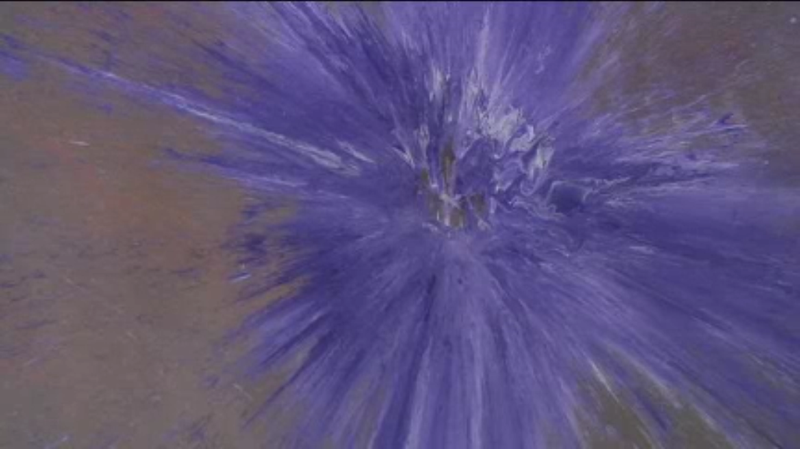 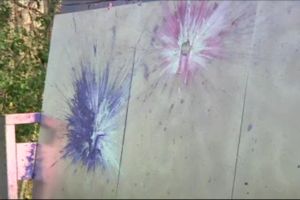 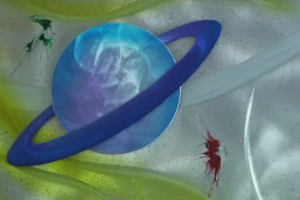 This way the paint came out.” The visual effects of the cannon’s explosion isn’t the only reason Kovacs chose to use it. 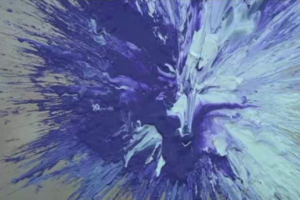 For him, using this weapon to create art has a much deeper meaning. 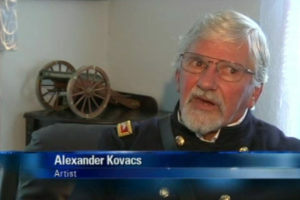 “What I’m trying to do, I’m trying to show the world that you can create with the same weapon, don’t destroy,” said Kovacs. 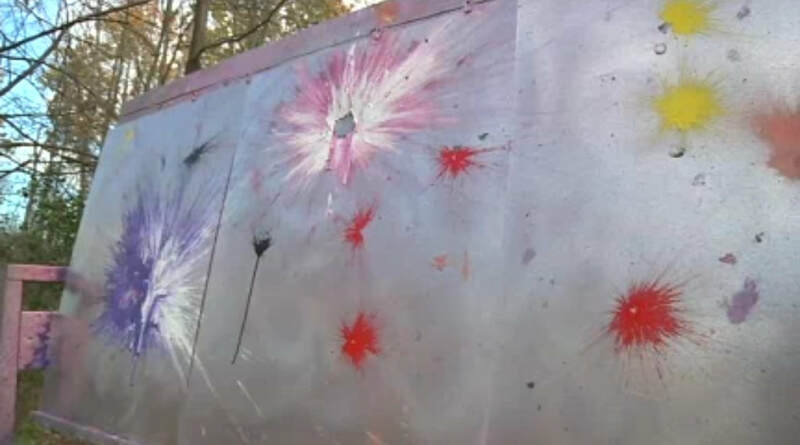 The paint splatter on the metal sheet isn’t the finished product. 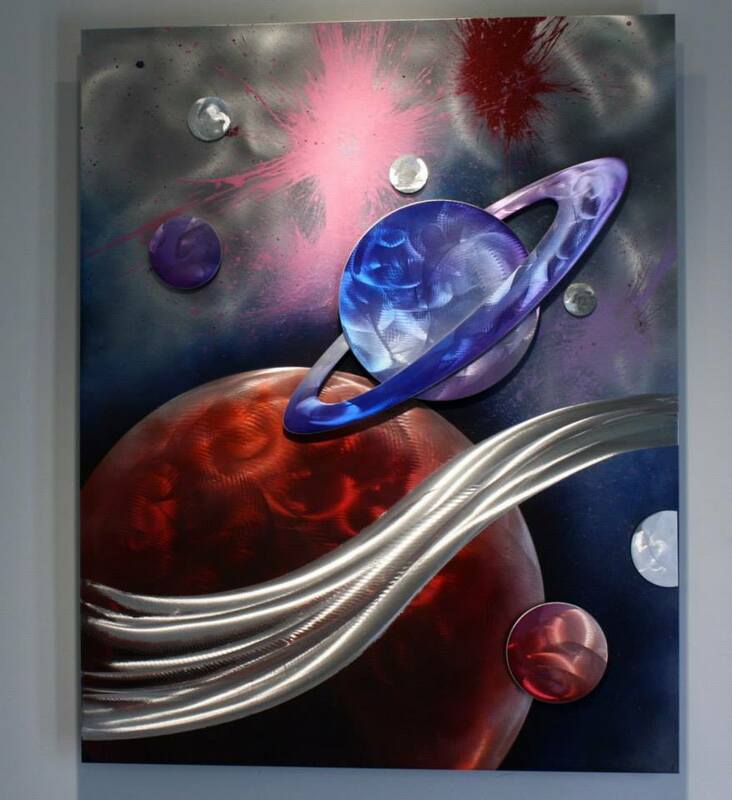 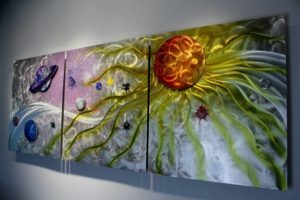 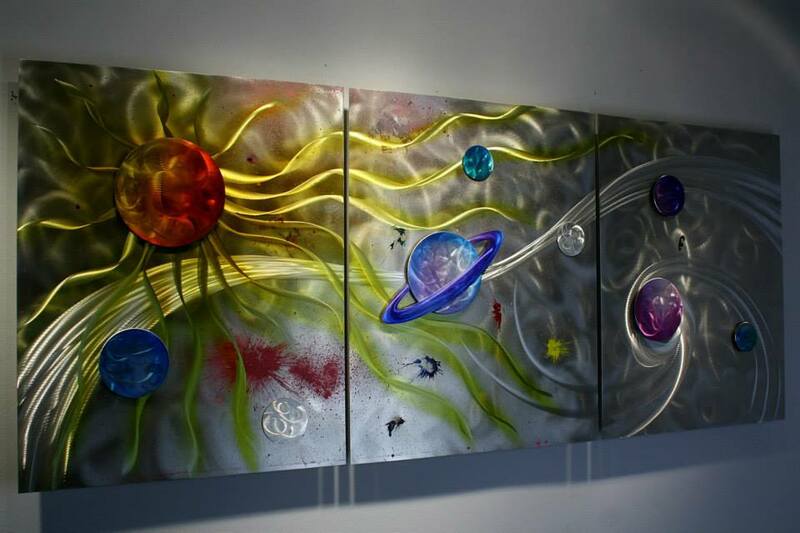 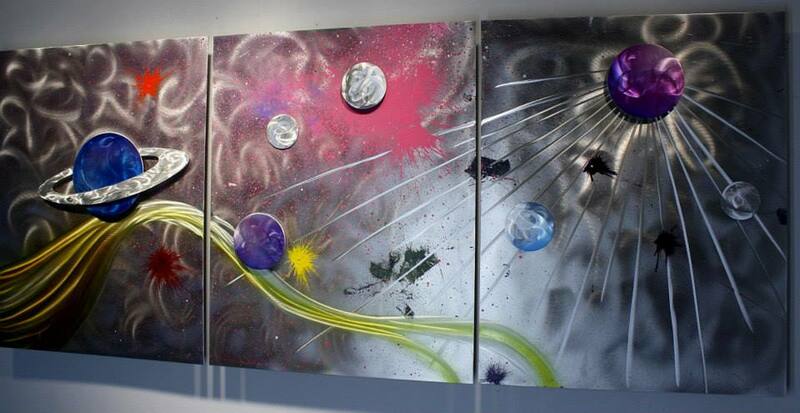 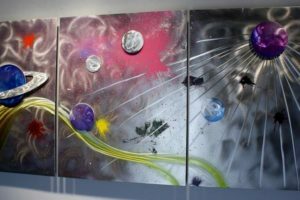 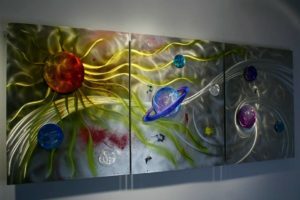 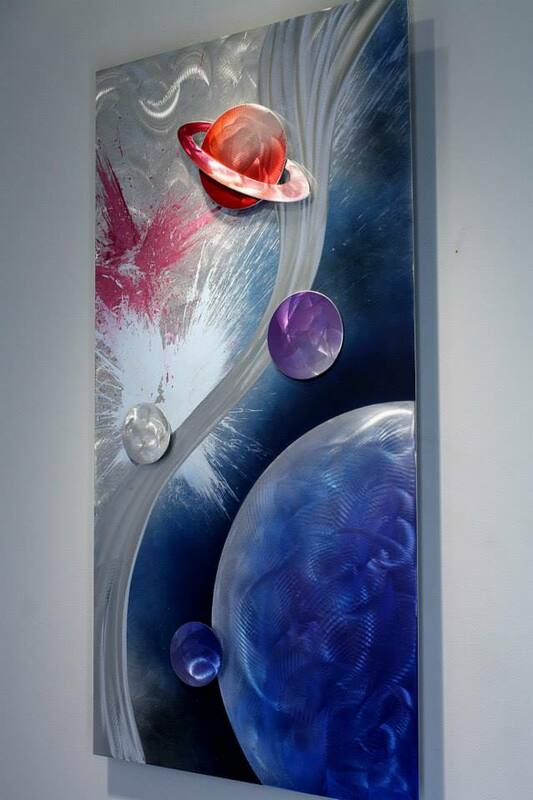 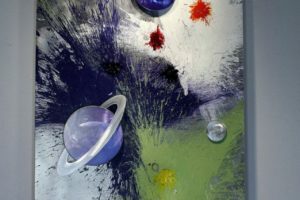 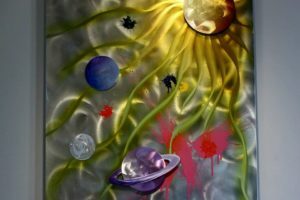 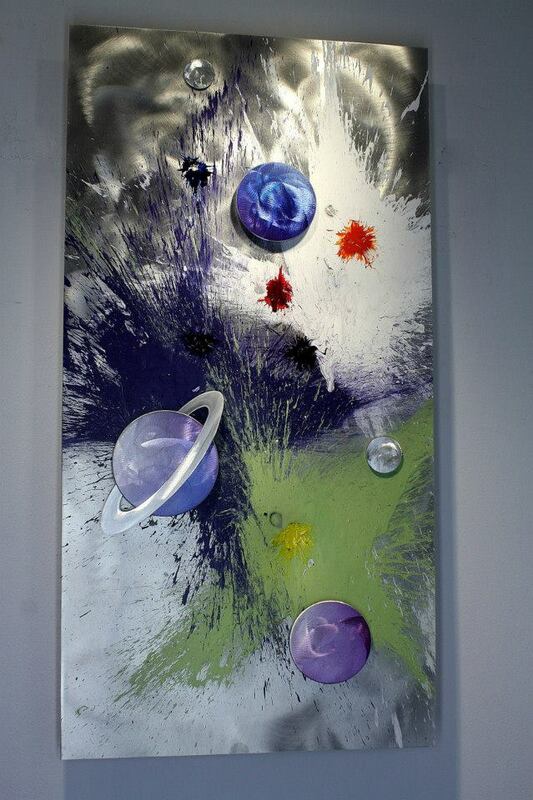 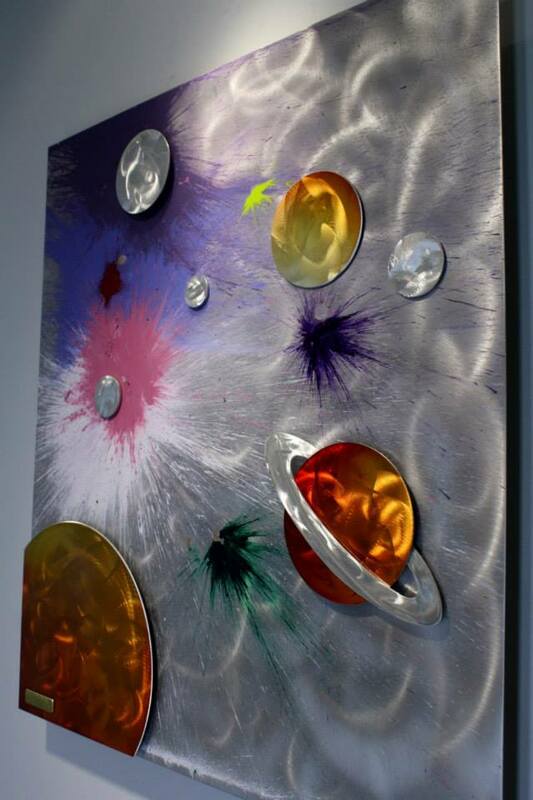 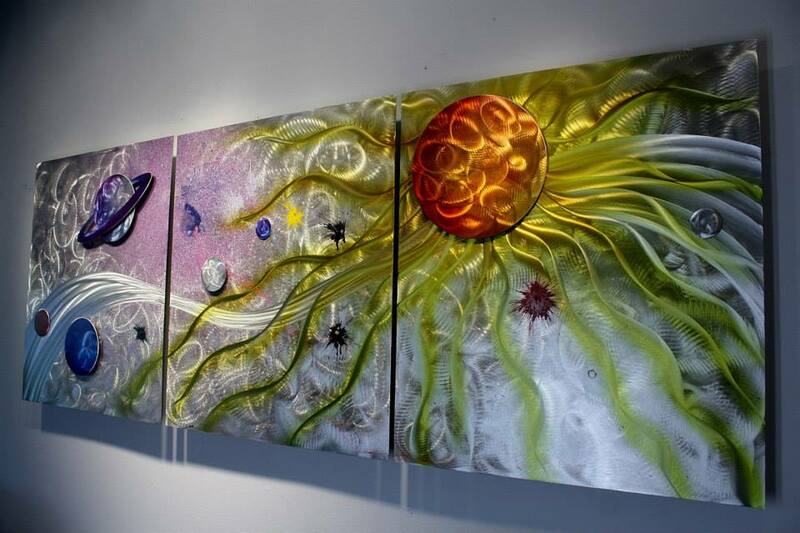 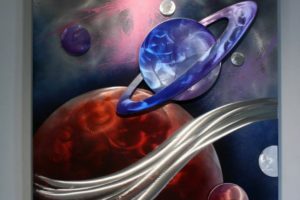 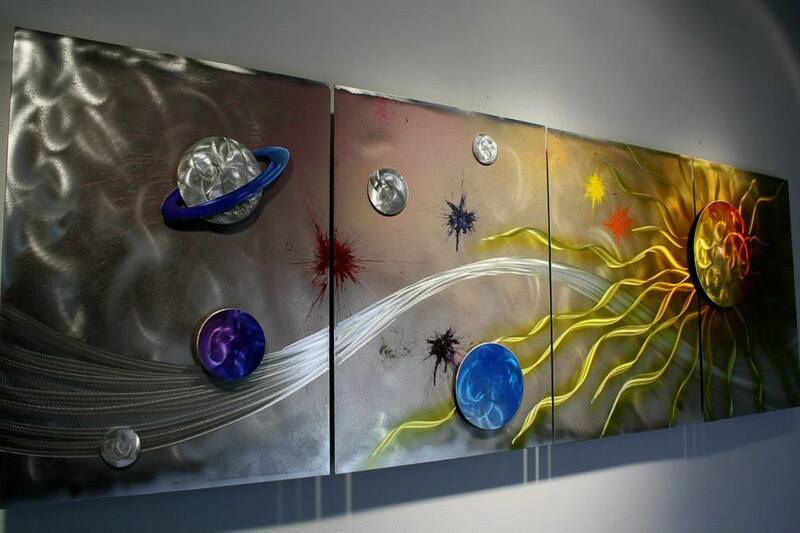 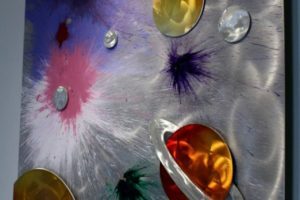 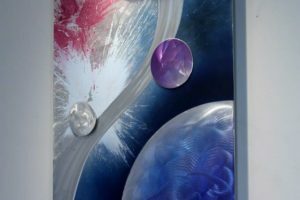 Kovacs uses the paint’s colors and shapes to create universe inspired art pieces, showing the peace and harmony he hopes the world will someday find.